Should Missouri Add Indoor Track? 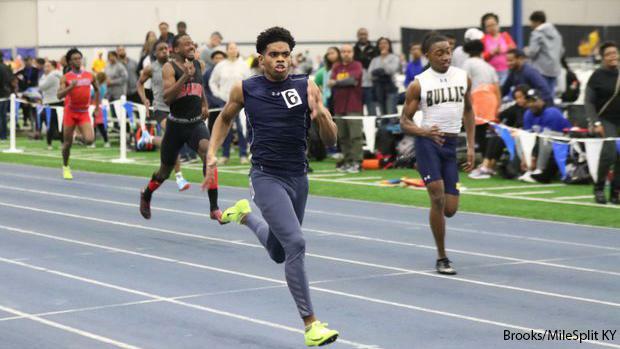 There have been some phenomenal performances by Missourians in indoor track this year, but unfortunately indoor track is not sanctioned by MSHSAA and athletes have to compete unattached or with their club teams. Coaches and athletes both have brought up the idea of Missouri adding indoor track as an official sport, and I thought we'd take a look what that would like. The largest obstacle Indoor Track has going against it is the lack of easy access to indoor tracks in Missouri. As far as I'm aware of, there are only six indoor tracks in Missouri, and only five of them have jumping pits. However, the tracks are spread out across the state, and for most Missourians there is one within a reasonable drive. Here is a list of indoor tracks in the State (as far as I'm aware): MIZZOU, Missouri Southern, Southeast Missouri State, Northwest Missouri State, Central Missouri, and the Hy-Vee Arena in Kansas City. All of these with the exception of Central Missouri host high school meets already. In addition to these meets, there are several meets across the border in neighboring states that Missourians already attend. With this somewhat limited access to indoor tracks, I don't believe that the outdoor classification and qualifying system would work for Indoor. What I propose for a hypothetical Indoor Track State Championship, is to have only one class with no district or sectional meet. Instead we would use qualifying standards like the NCAA uses and take the top 18 athletes in each event to the State Meet, with three heats of prelims for the sprinting events. Since there are only six lanes on most indoor tracks, I'd also propose only having six medalists. I'd host the Championship the weekend prior to the Spring Dead Week, which currently lines up with the Championship Meet of the MIZZOU Indoor Series currently. What do you guys think? Should Missouri consider adding Indoor Track as a sport?